ABOVE A factory chimney on Murano. Murano was absorbed into the municipality of Venice in 1924 and is represented by the Venice Tourist Board. The island is small, so you'll find most of the information that you need in this 11-page guide or in any comprehensive Venice guidebook. If you want a map that's more detailed than the Murano map in this Web travel guide, check your guidebook or buy a street map (preferably with a scale of 1:5500 or better) that includes the island of Murano. To learn more about Murano glass production, visit the industry association's Web sites at www.promovetro.com and www.muranoglass.com. You'll also want to read Marco Piazzalunga's comprehensive article, "The Wonderful History of Venetian Glass Beads and Murano Glass Jewelry." If you're seriously interested in glass, you can take classes at the Abate Zanetti Glass Center or read about the Experimental Glass Station on Murano. Another option is a 3- to 14-day mosaics class in Venice at Orsoni, which has been making glass and gold mosaics since 1888. Most Venice guidebooks have short chapters or sections on Murano. Still, for in-depth advice on the island and its glassmakers, there's no substitute for Michela and Nicoló Scibilia's Comprehensive Guide to the Island of Murano. This guidebook has a list price of €19,90 and is available in several languages, including an outstanding English translation by Giles Watson. The book was published in 2007 and is now out of print, but if you're lucky, you may be able to find a copy at a secondhand bookseller such as Libreria Alta Acqua in Venice's Castello district. We can also recommend Gianfranco Toso's Murano: A History of Glass, which was published in 2002 by Arsenale Editrice of Venice. The 190-page book is printed on quality paper and filled with beautiful color and black-and-white photographs. The price is downright cheap at €9,00. In Venice, look for Murano: A History of Glass at museum gift shops, larger bookstores, Amazon.com, or the publisher's own store (Bookshop Arsenale Punto Libri, San Pantalon, Santa Croce 29). Another book to consider is Carl I. Gable's Murano Magic, which is based on content that formerly existed on Mr. Gable's Murano Magic Web site. Finally, don't miss Venice (U.S. title: The World of Venice), by Jan Morris (formerly James Morris). The noted British travel writer's entertaining blend of history, social commentary, and personal narrative is the definitive "must read" introduction to Venice and Venetians. 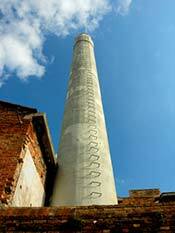 The author's comments on Murano glass and factories are well worth reading.